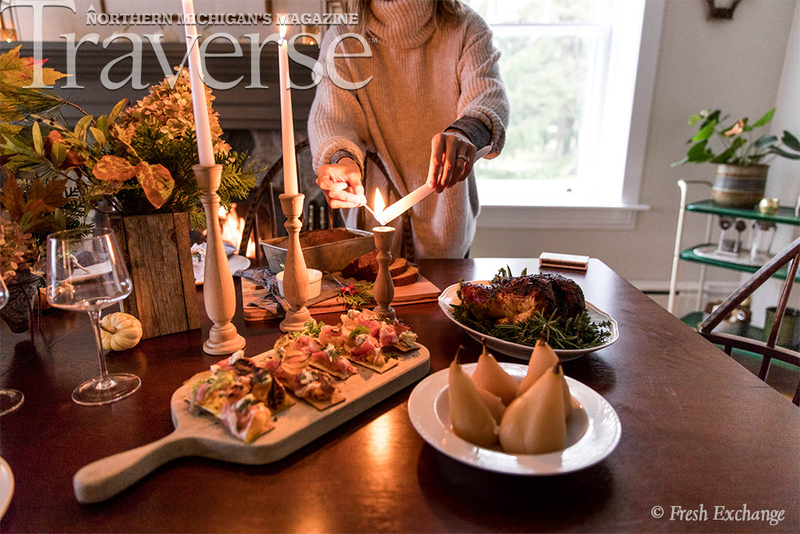 Join the editorial staff, special guests and your fellow readers of Traverse Magazine for an exclusive sneak peek of the upcoming November 2018 issue. 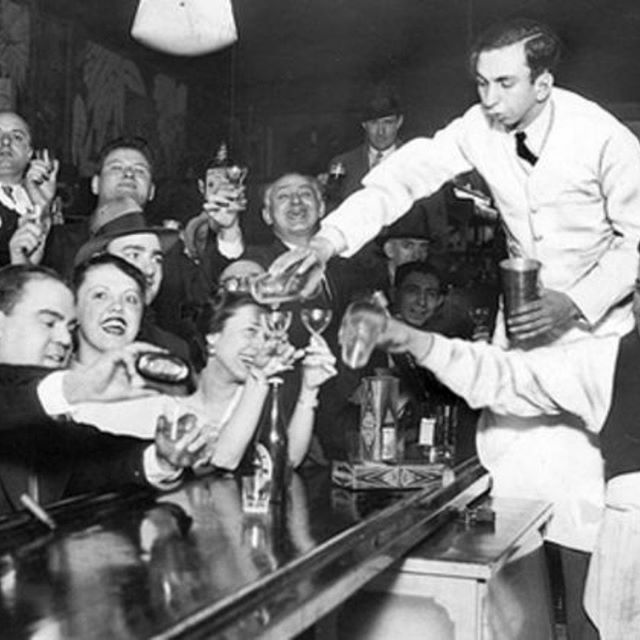 Casual, fun networking and secret drink specials from 123 Speakeasy's talented team of mixologists. Editor Emily Tyra and Founder Deborah Wyatt Fellows will raise a glass to our readers and share some stories behind-the-stories. Cash bar specials and appetizers available. Gift bags for the first 25 guests, first-come first-served. RSVPs encouraged but not required. Capacity Limited. UP NORTH: Good Harbor Vineyards, L.Mawby and Bel Lago all made Boskydel tribute wines—each displays a caricature of Leelanau winemaker and legend Bernie Rink. Wonderful to toast with at your Thanksgiving tables. 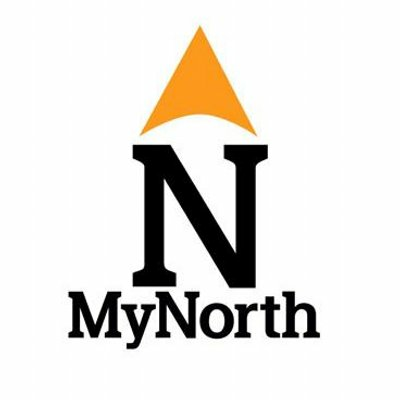 Special GIVE Section on Northern Michigan—inspiration for giving back. UP NORTH: The Pride of Ponshewaing—get to know the man who built a 30-foot replica Mackinaw Boat in his driveway. TRAVEL: where to soak in the dramatic views of the Big Lakes while snug in your warm room. SNOW SPORT PATROL: we’ve got the buzz on perfect powder, new gear and coziest the fireside getaways straight from Northern Michigan’s most beloved winter resorts and community hills. We promise you haven’t seen it all. WILDLIFE 911: we excerpt the wild tales from the field from veteran Michigan Conservation Officer John Borkovich. His new book is a compilation of incidents encountered while protecting our wildlife and natural resources. 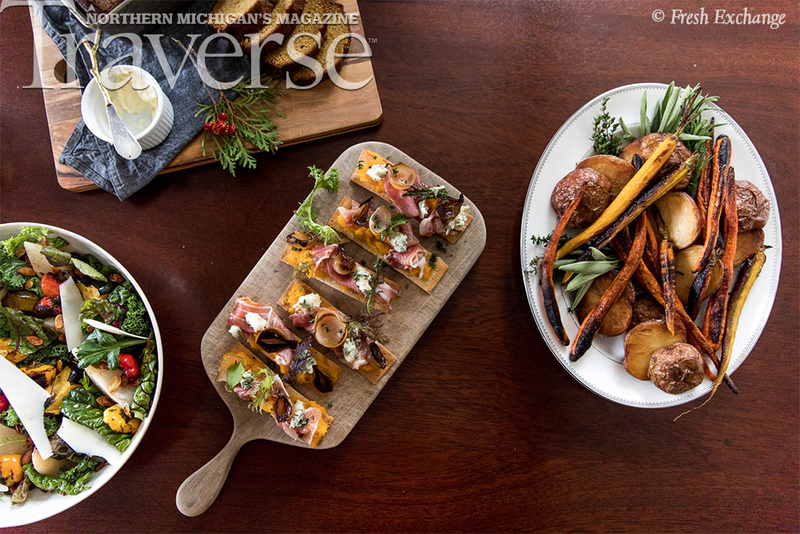 ULTIMATE UP NORTH CHEESY POTATOES: the Michigan-proud, great equalizer, come-together food of the season. 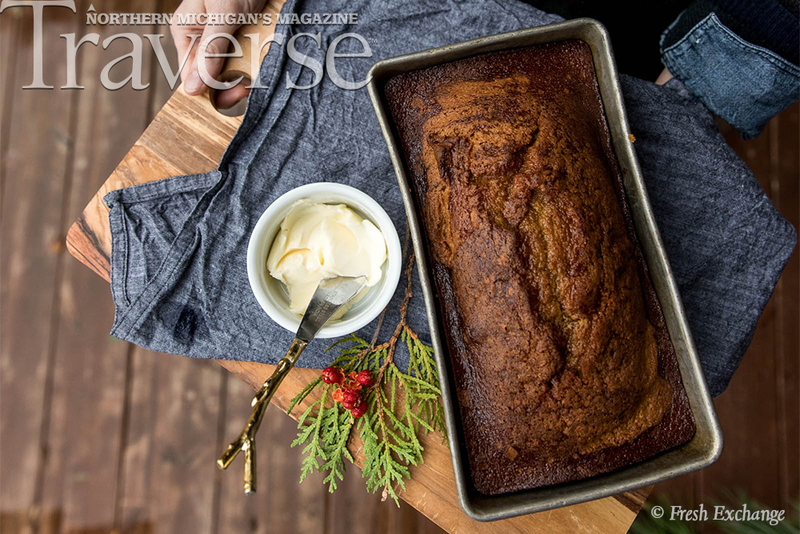 We’ve sourced ingredients from all over the north to build the BEST-ever recipe. 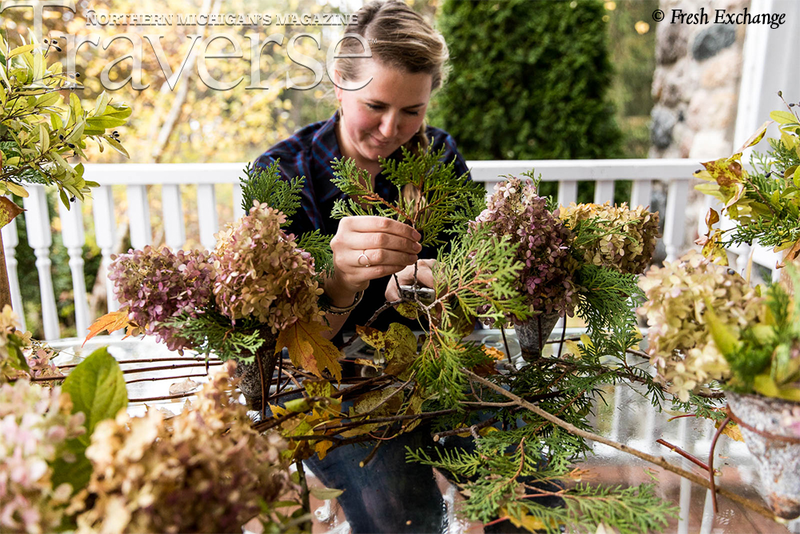 FRIENDSGIVING: Northern Michigan influencer Megan Gilger of The Fresh Exchange on gratitude for November and sharing a table with good friends. 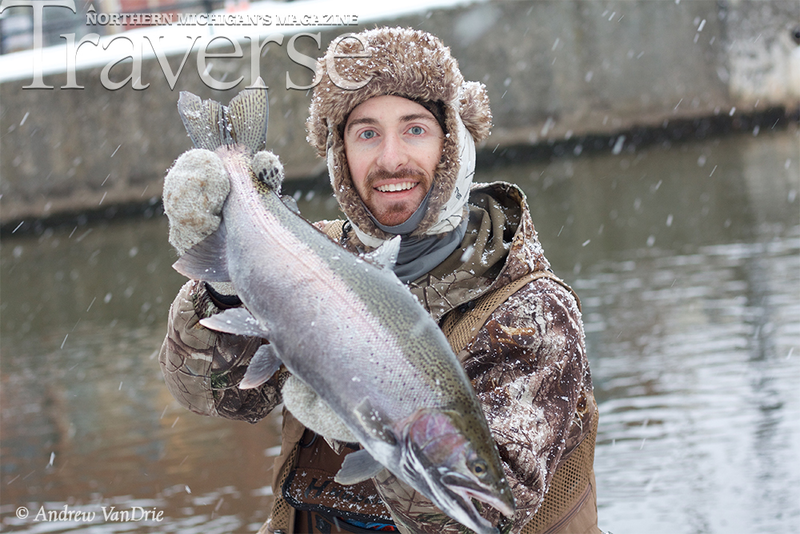 OUTDOORS: Steelhead on the Boardman: tips for catching (and releasing) on a brisk early-winter day. 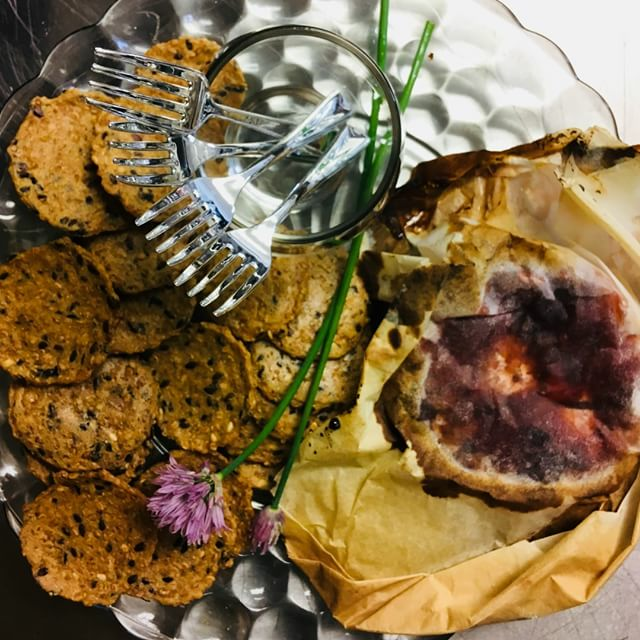 LOCAL TABLE: perfect little food gift for the person who has everything – Managing Editor Elizabeth Edwards’ irresistible write-up of Boss Mouse Smoked Butters handcrafted in Kingsley. 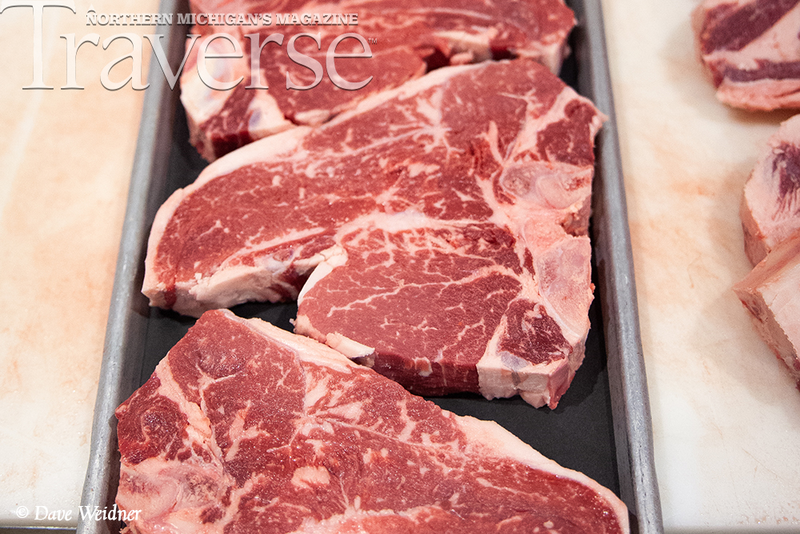 DINING: Meat Markets for Holiday feasts. Foodie File is the dynamic duo of Mark & Stephanie Wilson, owners of Maxbauer. 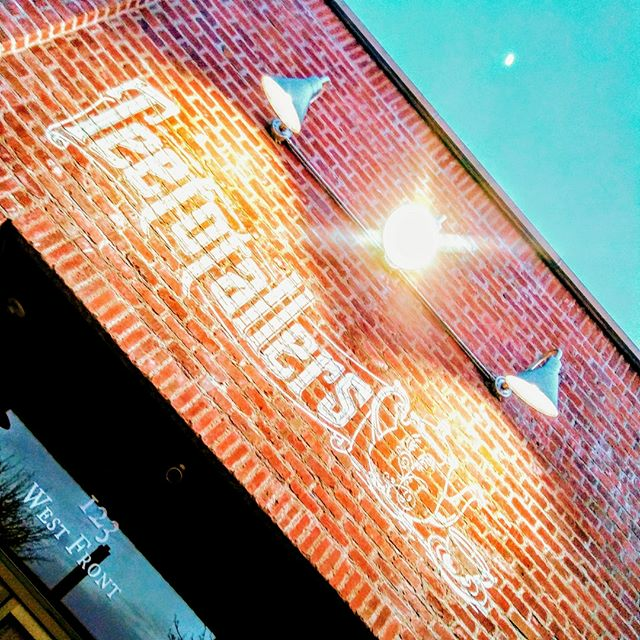 They talk butcher shop basics, giving back to the community and their foolproof prime rib technique. The tea shop Teatotallers at 123 West Front Street, Traverse City, Michigan serves as the screening area to Traverse City’s infamous Speakeasy. Our friendly doorman will look up your reservation, then check your IDs. 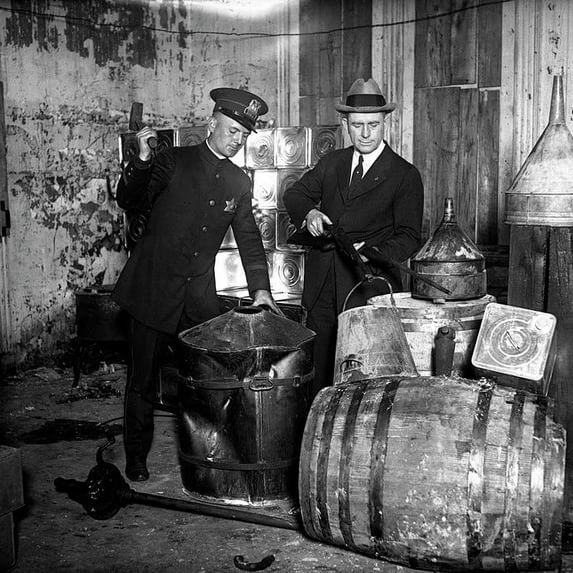 You’ll be given a password for entry into the secret drinking parlour. In addition to bar seating, you’ll find family-style arrangements of authentic Victorian and Eastlake antiques, such as velvet couches and upholstered chaises. 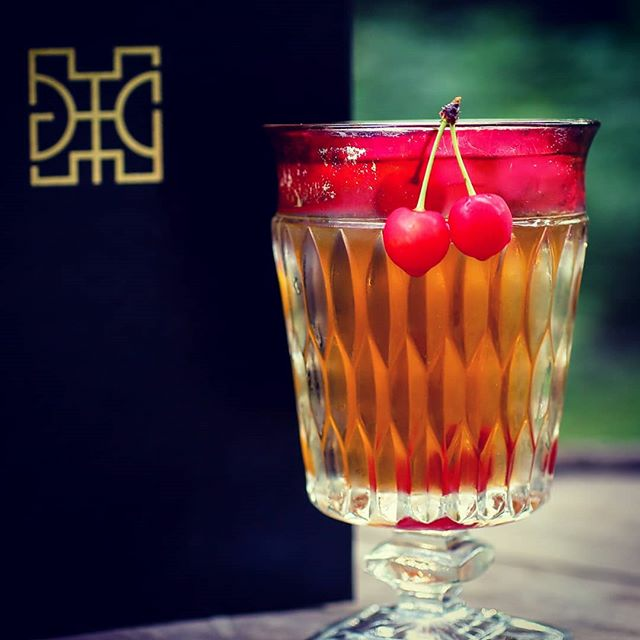 Their drinks and food are all presented in a curated collection of vintage crystal and glassware. As long as you have on a shirt and shoes, you're welcomed in. You'll probably see a mix of glam flappers, workin' Joes, and loved ones celebrating. So wear what you like! 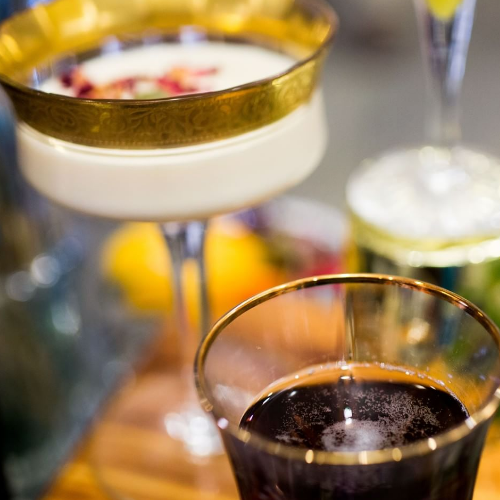 The bartenders infuse all their brews with organic, seasonal, and local ingredients. You’ll sample simple syrups and bitters all made in-house. 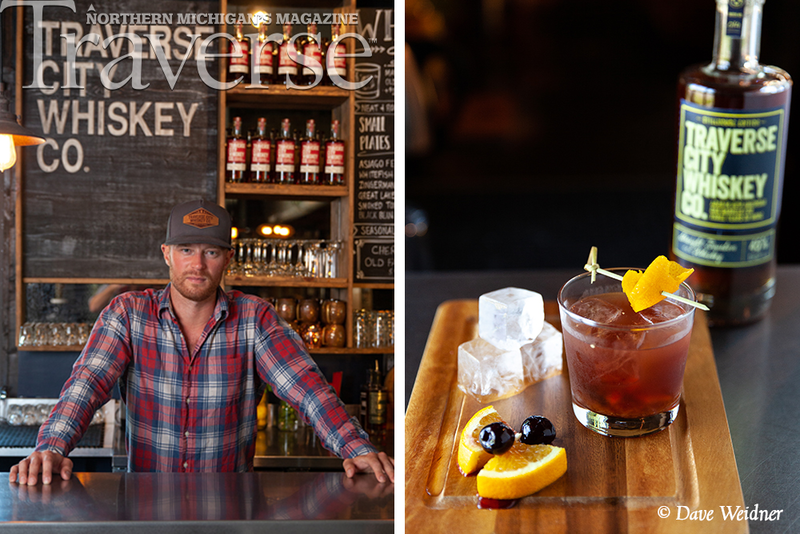 Their food menu complements their extensive drink menu, and also uses seasonal ingredients from Birch Point Farm, located right outside of Traverse City. They offer a variety of shareable plates that serve 2 - 3 people; they're perfect for appetizers, desserts, or several ordered together can make a meal. They are proud to offer a collection of wines from Brys Estates Vineyard and Winery, as well as beers from Right Brain Brewery.